Ride along to the peaceful sounds of babbling creeks, wind in the trees, and the steady cadence of your horse’s hooves. 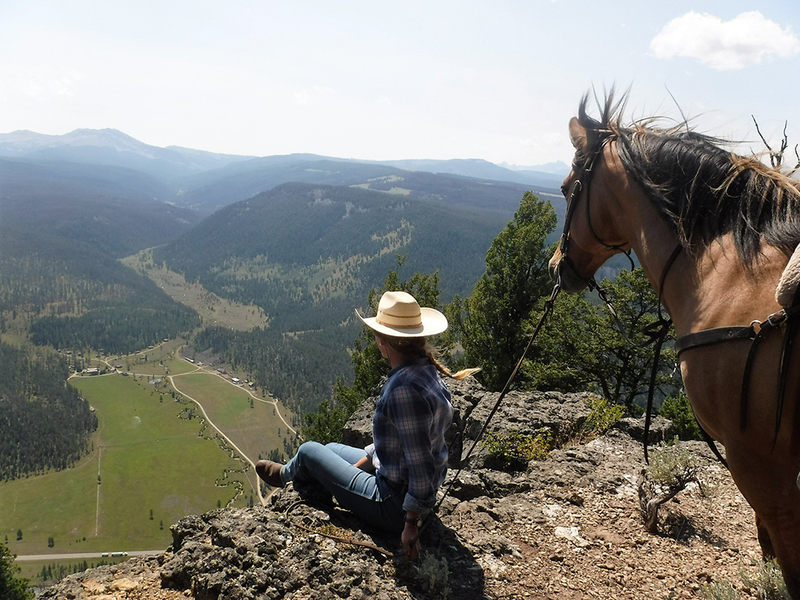 The core of your Montana dude ranch experience. The reason you came. The reason you'll come back. Even people who come to our ranch determined not to ride end up falling in love with the experience. With rides of eight or less, there is time for tips from our horsemen about the country, wildlife and ways to make your riding experience even more enjoyable. No prior riding experience necessary. On day one foreman Jim will match you to a horse that fits your interests and abilities. You'll likely ride the same horse all week. Relaxed instruction from our capable wranglers could take you from short, easy rides to long and challenging rides through the course of the week. Even if you've never ridden before, you'll soon feel safe and comfortable on these mountain-trained horses, at ease to enjoy the gorgeous terrain you're passing through. Our goal is to show you an amazing experience while keeping safety a priority. 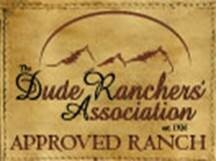 Elkhorn Ranch is certified by the DRA Horse Safety Program. Be prepared to start your rides with strangers and end your rides with friends. Sharing a mountain trail tends to build lasting friendships for guests of every age. Although most age groups choose to ride together, you can request family rides. 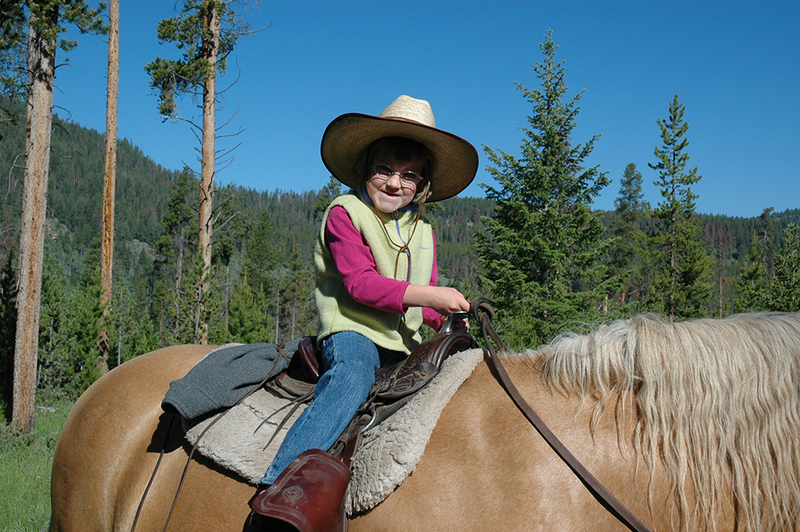 The youngest riders, or Peanuts, go for carefully supervised rides, which may include a river swim, a visit to an old cowboy fort, or a trip to the Bear Caves. Give your children confidence to go out on their own and experience something different. This age group always has spirited rides full of adventures and laughter with their peers. Watch your teenager come alive on the trail, or at least hear about it later when their ride returns to the ranch for the evening. Most adults progress through the week to make it into the high country where there’s opportunity for wildlife sightings, spectacular views, and wildflower blooms. With only eight guests or less per riding group, you'll have plenty of chances to get to know one another.